BSMods - Nvidia GTX 1080 SLI "Tessie"
$699.99 USDNvidia GTX 1080 "Founders Edition"
Tessie was built for Nvidia's Geforce Garage. We first completely disassembled the case to powercoat some parts and use automotive grade jet black on the main exterior parts. With the help of Ron at BlueHorseStudios Tessie the dragon was added to the front of the case! EKWB stepped up to help us with water cooling the 5960x and a perfect platform was finished for TWO new unreleased GTX 1080 cards. Apparently "Founder's Edition" is just what they're going to be calling their reference cards from here on. Supposedly they want to be in the middle of the road and cost may be higher than other OEMs due to an all metal cooling shroud but we'll see when the other aftermarket cooling solutions hit. Yeah man, same here. Gonna be building an entire new rig for this beast. Linus isn't really biased at all. He's directly stated that if something is bad, he'll give an honest review of it. He ripped pretty hard on the iPhone 5 recently. But the card is that awesome, coming from a guy (me) who has only owned AMD GPUs. Ya i agree that it is a awsome card but is polaris better? Damn, the GTX 1080 isn't even out yet and there is already a completed build with TWO in it. 1080 Ti Hybrid will be awesome. 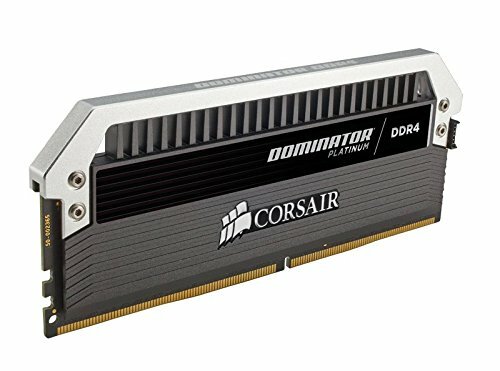 Probably OC to 2.5GHz Core and 13GHz Memory. This is absolutely amazing. The water cooling loop, cable management, and the Inwin case are all beautiful. Color scheme is nice too. How is the performance of the 1080 cards? Don't listen to soundreaper, it actually doesn't outperform 980 sli, it only does that in VR. You'll be looking at anywhere from 10%-20% increase in performance over the 980 ti, obviously that goes higher the more you overclock, but you'll need watercooling to break over 20% over 980 ti on air. This isn't the next 4k crusher, certainly an improvement over the 980 ti, but not the advent of next-gen performance. EDIT: It outperforms the 980 SLI in VR due to a feature called multi-projection, which allows the 1080 to basically mirror one image to both eye screens, basically halving the load it needs to render. It's absolutely a feature that'll be used extensively in the future if VR is going to take off, and Nvidia is ahead of the game by having it right now, but it isn't applicable in 2d environments like on a monitor. MFW someone downvotes this guy... +1 for the actual truth, look at the website, fanboys. But 10-20 percent is a lot my friend. Oh yeah, for sure, but that isn't enough to suddenly tackle 4k. The 1080 ti is what is going to truly attack that in modern AAA games. Performance is crazy! One GTX 1080 out performs 2 GTX 980's in SLI. Even the GTX 1070 outperforms the Titan X. They did a demo of a single GTX 1080 playing the new DOOM 3 at the highest settings at 4K (might have been 2K, I forget) at around 133 FPS! I'm definitely buying a GTX 980 as soon as it releases! Wow. That's pretty dank. ._. So it must be the most powerful GTX card out there right now, right? Also, is the price for it in the parts lost the same as what it will be when it's officially released? It is the most powerful until the GTX 1080 Ti and whatever new Titan is released. The price is the same, it's being released at $600! That's a great deal, $400 cheaper than a Titan X and performs better. It was 1080p @ 133hz not 4K. Faster does not equal better, don't get them confused. A one cylinder engine at 20,000 rpm isn't likely to perform better than a 4 cylinder engine at 10,000 rpm. No doubt they are really quite powerful but wait for reviews. Wait for the 480x... we might see $200 beat Titan X, and early benchmarks already say so. Oops, typo.... Can't fix it now.... ._. You have to remember those are only VR benchmarks. In normal gaming, the 1070 is a bit weaker than a 980ti and the 1080 is about 30% faster than the 980ti. VR is a terrible meme that will never catch on with actual, reputable devs too. Don't invest. 1070 specs haven't been released. 4K 133 FPS? Not until 2020, keep dreaming, it was probably at 1080p. Saw this build on the release. Very nice work! It was amazing to get to work with both of these products! For this build and the other H-Tower Build you did (https://pcpartpicker.com/b/sg6XsY), why did you list the IN WIN H-Tower as a custom part even though it is listed on PCPP at https://pcpartpicker.com/part/inwin-case-htower ? Just curious. Yeah I know. that's what I mean, these guys got the first H tower build on here and now the 1080. Out of curiosity, how did you mount the pump. Been looking at picking up this case to replace my In Win Tou, but have seen no way yet to mount the Res. Am I right in assuming its simply a custom part you guys created? the rare GTX1080 has been spotted!!! dang where is my ultra ball? Whoa.... Lets just say that if this PC was entered in a competition, it would be disqualified for being too awesome. Great work! I like the new Pascal gpu, the gtx 1080. Sweet build BSMods. Keep up the great work. OMFG This is beautiful! Very solid build!!!! I want to see benchmarks! I hope the 1080 sli is better than a 3 way titan x sli! Thanks I'm glad you like the build! Awesome build man! I can't wait to buy 1080 for myself! I'm probably going to get the GTX 1070 as here in Australia, the GTX 1080 is going to be really expensive! It's great to see someone using that awesome in-win h tower! Wow that's so cool. Great work everyone. 1070 should be amazing for the price! Thank you....so many of those systems where you didn't really see the card! So, how does one gain the pearlescent effects of the cooling tubing? Is there some sort of inner liner? This is a really, REALLY bada$$ looking system! We feel very lucky to have such amazing opportunities! Is the 1080 really only gonna cost $600?? That's insane. Wow! That's insane considering that it's twice as powerful as a Titan X but is half the price! It's no where near Titan X sli. The 1080 is gonna be $600 for the actual one and $700 (I think) for the founder's edition, the 1070 is going to be $375 and claims to outperform the Titan X, the founders edition will be a bit more. The Founder's edition only gives you more room for OC and is stock OC from factory... I am not sure but I think it gives you slightly longer warranty I'll have to check. Lol nice job hiding the specs for the 1080s! Every time I think about pascal, I get this tingly feeling in my stomach, and I start giggling. Also, will a core i5-6500 bottleneck a 1070? I wish we had them but not yet! Ugh, I just bought the 970 like a year ago and Im VERY tempted to get the 1070. What a quantum leap for one generation later. Its freaking crazy and with VR its just stomps everything! Do you guys do custom cases for regular customers? Can't seem to find folks that would do the job. How the hell did you get a 1080?!?!?!?!?! It's not even released! what are the specs on the 1080. can you reveal them? The lack of disk space is disturbing. Everything else is very nice. Great job! It could have been bigger but it just needs a few games and NVMe is so freaking fast! After preparing to buy the nvidia Titan X I see that this may be the better option for me I too am using an in win case but not a two thousand dollar one just a measly three hundred dollar d-frame mini. Lol this build will last whoever gets it a lot of time and give a lot of fun. Who is this going out to? Just one 8-pin for the 1080 is a pleasant surprise. As a case modder having just one cable to the card is freaking great! This is so majestic holy bananas. The 1080 looks freaking amazing. Sadly we didn't have a chance to get those so I need them just as badly! I have a good slogan. "Our mods are anything but B.S." Wow Thank you very much we're just a couple of PC gamers that love building stuff! This was the rig at the event, correct? GTX 1080 price confirmed for $600 price point? 1080!!!! LTT plus BSMODS AGAIN!!!! This article has our case in it. So am I flipping my gingery-self or does this thing seriously out-perform a Titan X?! Can we see a video of this guy transforming? Thanks for making us all feel sad about our builds, in a good way! Haha awesome. It's funny because it's an amazing gaming computer, but the only game I'd want to play is "transform the case!" Thanks for posting! Yes I'll get this posted soon! 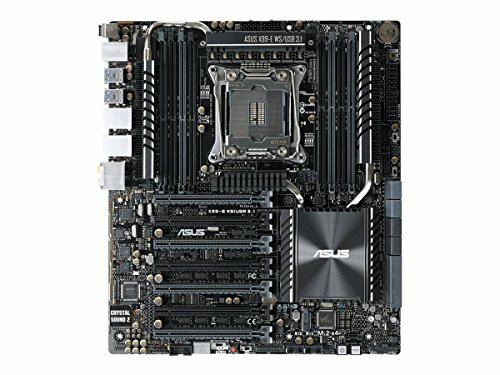 Is that the spaced out sli bridge for x99 boards or is this the standard one for z97/z170? ok. Thanks for answering. How does the quality of the card and the bridge feel. and how was your unboxing experience. The card feels much like the 980 with a backplate and well manufactured cooler The small details of polished aluminum along the side of the card and the lettering for 1080 are very nice. As far as the SLI bridge it is much of the same the soft lighting of the green line is nice and the fact the PCB is screwed to the shell and can be taken apart and modded is a huge plus. The only thing that surprised me was use of the Nvidia eye logo on it taking place of the claw. Wow. with the description you gave (bob or rod) I am rally excited to get my hands on this card. I plan on building an x99 pc with a 5930k and 2 1080's in sli. Will there be releases of the GTX 1080 from MSI or other board partners? 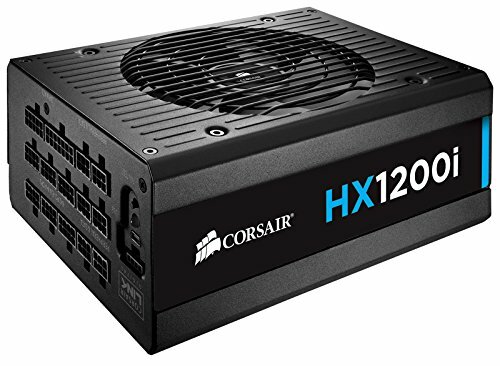 I am thinking of building a similar system but with a 5930K instead as well as a 1080 SLI What power supply should I be looking at with the new power efficiency of the 1080? Performance looks great but man the founders edition cooler is ugly.. can't want for board partner to make some extreme cards with great oc potential.. Yes! New BSMods builds are always like Christmas! I'm not really into dragons personally but you just can't argue with amazing hardware and even better build quality-- you really can't. Great work as always, looking forward to grabbing a GTX1080 myself. Glad you like them we will have TWO new builds up next week! Can't wait for the 480X to beat the 1070 for 1/2 the price... Leaked benchmarks already say so. It blends in with the angles on the cards! "NVIDIA’s new SLI HB bridge doubles the available transfer bandwidth compared to the NVIDIA Maxwell™ architecture. Delivering silky-smooth gameplay, it’s the best way to experience surround gaming—and it’s only compatible with the GeForce GTX 1080." They haven't even talked about those yet. I'm sure it'll be compatible once they talk about the Pascal Titan and whatever new cards they may release. I think it's not compatible with the 70 because it wouldn't benefit from it. I think this time around the x80 will truly be a sizable margin faster than the x70. My prediction.